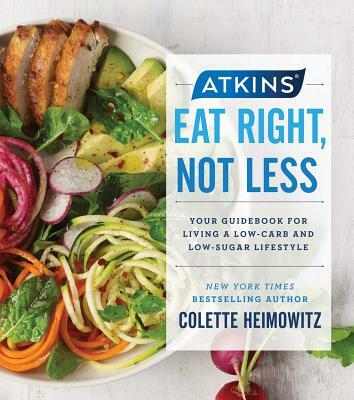 Enjoy the benefits of a lower-carb lifestyle on your own terms—including a better keto diet: This is Atkins® your way. 100 DELICIOUS WHOLE-FOOD RECIPES: Not only are the recipes in this book low in carbs and sugar, they contain a healthy balance of proteins and healthy fats, and they are nutrient-dense. Plus, learn about the Hidden Sugar Effect and how to avoid it, and read real-life tips for creating a low-carb kitchen and for setting achievable goals. You’ll see how easy it is to eat right—not less—to reach your weight-management goals and achieve optimal health.